IMG_1935, originally uploaded by GeoWombats. I’m in Fremantle for work and am staying at this great Eco-B&B. It’s quirky and incredibly relaxing. Owl Patronus, originally uploaded by Anna Overseas. Sculpture by the Sea, originally uploaded by GFR. 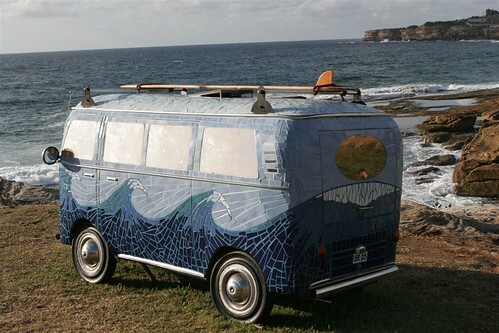 This van is part of the Sculpture by the Sea exhibition along the coast between Bondi and Tamarama. It is not exclusively mosaic but this photo set Sculpture by the Sea is certainly is worth looking at for its creativity. 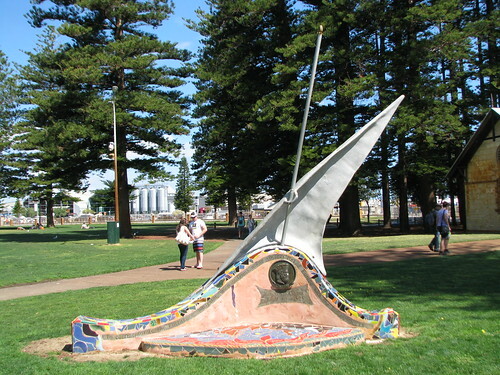 If you want to learn more about this and its equivalent in Western Australia, check out http://www.sculpturebythesea.com/. A wonderful community initiative from Western Australia. Some fantastic mosaics in there. Over two hundred tiles, two years and lots of blood sweat and tears has resulted in a mosaic garden gallery which will become part of history. This colourful mosaic gallery garden reflects the talents and lives of people who live in the Lake Grace area. The community art project has taken longer than two years and was the brainchild of Lake Grace nurse and artist Kerry Argent. The project started so long ago that Kerry says she can’t remember how she came up with the idea. She wanted to do something for the community to take their minds off the drought and difficult situation most of the local people were facing. With support from the Lake Grace and District Health Service the project involved more than 100 people. 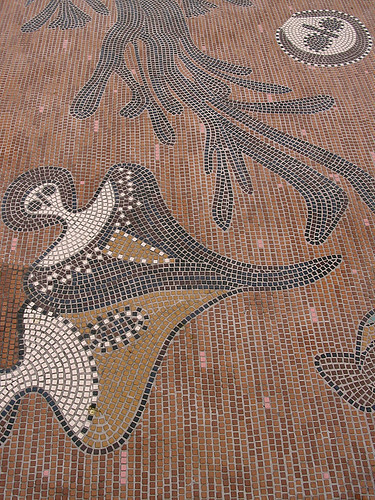 A walk through the 260 mosaics; some of them commemorative, others artistic and even some humourous. The mosaics show farms, school, community and family history. The website is difficult to navigate and looks like it was built 10 years ago and hasn’t been updated since 😦 but once you manage to actually get to the products it looks interesting and reasonably priced. Has anyone ever bought something from these people? Mosaic, originally uploaded by Dey. 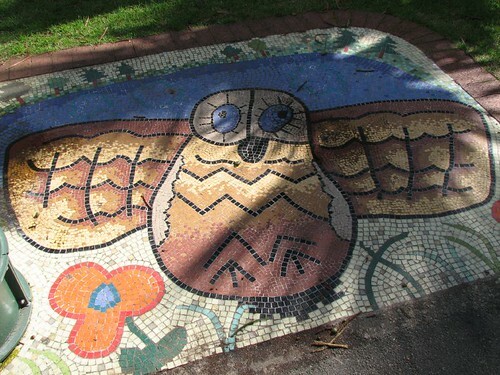 I was saying to someone the other day that I was surprised that more mosaics aren't being done by Aboriginal people. They don't seem to be happening in the Northern Territory although the designs from the NT could be translated into the mosaic medium relatively easily. So it is nice to see this one from Western Australia.